The Political system in Ontario is based on the principle of separation of powers – authority is distributed among the three branches of government, being – executive, legislative and judicial. There should not be a concentration of power in the hands of a small group of people as established under our founding constitution. In such a system, the executive does not pass laws – that is the role of the legislature. The Courts are there to interpret the law and to strike down bad and/or unconstitutional law, not make law. They also do not have the constitutional authority to demand that the legislature create law. The executive is to enforce the legislative statutes, as written by the legislature, which have been interpreted by the judiciary. Unfortunately, the executive bureaucracies are commonly the source of too many regulations. 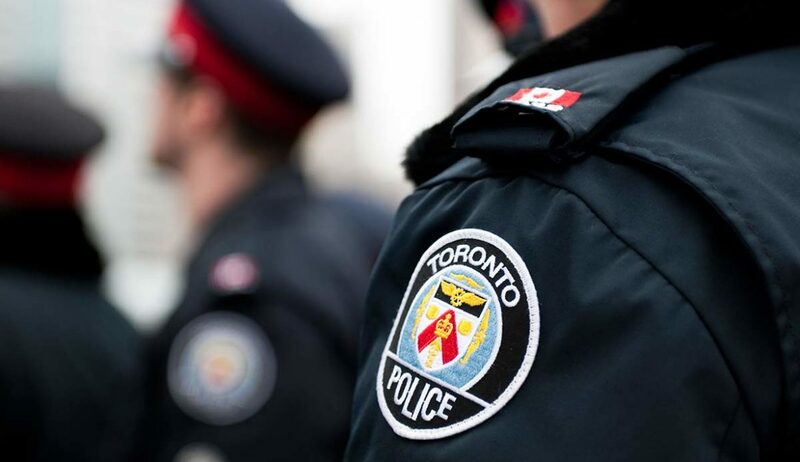 It is for this reason theTrillium Party believes an individual who is currently employed by a police force, or other type of Executive office, responsible for the enforcement of statutes, made by a legislative body, should not be allowed to run for a publicly elected position. The Trillium party of Ontario believes Police/Peace/Game Wardens/By-Law enforcement officers should be respected and admired. These two qualities cannot and should not be legislated. We believe respect and admiration for Officers has been eroded because these officers have been moving from their core duties of protecting and serving the people and are being perceived more as a form of revenue generators for their governing bodies. 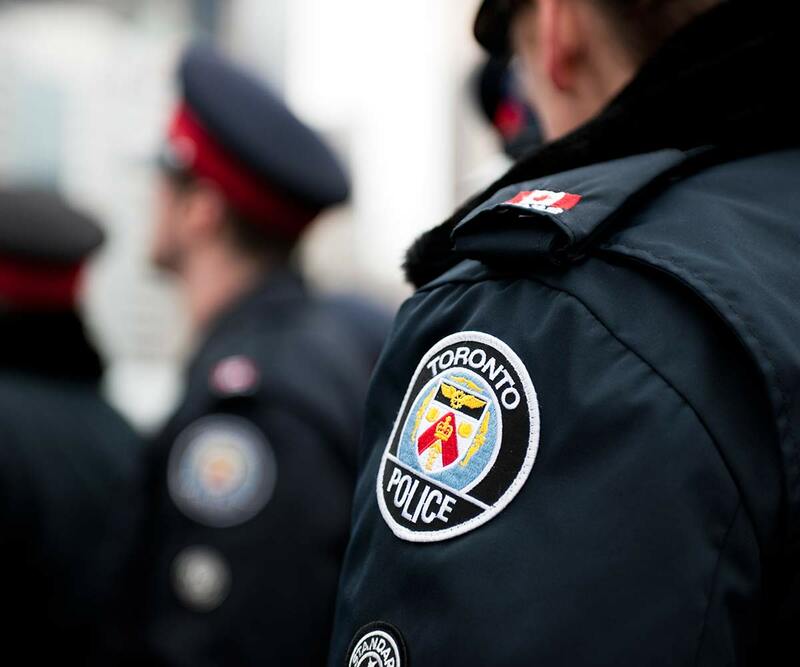 The Trillium Partybelieves that sufficient funding should be provided to police forces to fight serious crime not to be used for enforcement of unlawful statutes. There needs to be more in-depth training in the law and less “crowd control” or “use of force” training as the first offence/defence. They are there to protect the people, by upholding the law – not to take the side of by-law, OSPCA, Conservation Authorities, etc. There needs to be more psychological examination of cadets to ensure they have the moral, ethical and a grounded mental ability to fulfill their obligations to the people. More and more often Peace Officers are accused of bullying tactics and abuse of power – this needs to be corrected so the people will have restored faith in these officers. All pieces of legislation and regulation must be reviewed to ensure that these pieces do not violate the rights of Ontarians; do not violate the Constitution; do not violate the Criminal Code of Canada, etc. Any piece of legislation must be read by all MPPs to ensure they fully understand the piece – they cannot use explanatory notes any longer because these notes do not perform full disclosure as to what is or is not in the Act. A new section 97.1 of the Act provides permissive authority for by-laws respecting the protection or conservation of the environment that require buildings to be constructed in accordance with prescribed provisions of the Building Code. (see new section 108.1 of the City of Toronto Act, 2006). The Building Code Act, 1992 is amended to authorize regulations relating to new section 97.1 of the Municipal Act, 2001 and new section 108.1 of the City of Toronto Act, 2006. 97.1 (1) Without limiting sections 9, 10 and 11, those sections authorize a local municipality to pass a by-law respecting the protection or conservation of the environment that requires buildings to be constructed in accordance with provisions of the building code under the Building Code Act, 1992 that are prescribed under that Act, subject to such conditions and limits as may be prescribed under that Act. The only piece of legislation which can be an omnibus is the Budget and that is only to amend amounts of money for public use, as in Education, Health-care, Roads, and the like. Again this must be fully debated and every MPP will/must read it to ensure they understand the document. All regulation must be brought forward for debate in the “House.” This is the only way the elected officials can ensure that they are fully informed of the regulations being presented. No government ministry, agency, department, non-government corporation created to fulfill government obligations, can regulate what does not belong to it. There has been an unlawful expansion of regulation created which attempts to place government and/or non-government jurisdiction over private corporations and private property – this includes licences, permits, denials of land use, planning, fines, fees, etc., this is not what government is incorporated to do – government is to work for the people not to fund public employment at the cost of the rights of the people. We, as legislators, must remember – “The rule is the public interest is always paramount but NEVER when it is at the expense of a private individual ” We are part of the people and we must remember that every piece of legislation, regulation and policy applies to us because we are a member of the “People” and we, like everyone, must live and pay for these policies. Urban MPPs must defer to rural MPPs when it is apparent that legislation, regulation and policy will be detrimental to rural living and communities. Legislation which may be applicable in urban areas may not reasonably be implemented in rural areas. Funding, legislation, regulation and policy must reflect that there are two very different areas of life-style – urban and rural – and this needs to be reflected in the Municipal Act, as well as various other documents. All expenditures which were downloaded onto the Municipalities during the Harris-McGuinty-Wynne era must be uploaded. This includes social housing costs, hospital costs, educational costs, transit, etc., etc., etc. (2) Despite section 35 of the Building Code Act, 1992, if there is a conflict between that Act or the building code under that Act and a by-law to which this section applies, that Act or the building code prevails. (3) Without limiting sections 9, 10 and 11, the power described in subsection (1) includes the power to require the construction of green roofs or of alternative roof surfaces that achieve similar levels of performance to green roofs. “green roof” means a roof surface that supports the growth of vegetation over a substantial portion of its area for the purpose of water conservation or energy conservation. Ontario Legislative Assembly, February 11, 1965 – Vol. 1, p. 478. Provincial Policy Statements must not be implemented as legislation because policy is not statute and therefore cannot be used as statute. This has been determined in the courts. The only taxation to go into General Revenue is provincial sales taxes. All taxes collected with a specific duty is to be dedicated to that specific topic – example, gas tax is for road construction, maintenance and (in the urban areas) public transit, therefore it must be dedicated to that department. This must be dispersed based on kilometer and not population so that the rural communities have the financial ability to fund for transportation infrastructure. In all legislation there must be one determined and assigned Minister. There cannot be the statement of: “Minister” means the member of the Executive Council to whom the powers and duties of the Minister under this Act are assigned by the Lieutenant Governor in Council. There must be a Minister and Ministry responsible for the piece of legislation so that there is accountability of that Minister and the Ministry. There can be no computerized artificial intelligence used in the creation of legislation, regulation or policy. This is to ensure the ministry creating the legislation, regulation and policy are accountable for the document they are creating. This also includes the Attorney General’s Office and their obligations to not place the Crown in disrepute and/or create legislation which violates the Constitution or the Criminal Code of Canada. The legislature cannot do indirectly what it could not do directly therefore if the courts strike down a bad law the legislature is obligated not to amend said law in its own favor. That has also been determined by the Courts. Legislation must be created to ensure there is procedural fairness in the judicial system. This includes the removal of various tribunals and that procedure in the courts are simple to allow the average person to represent themselves. To many times there are motions, procedural blocks etc., and the procedure in the Court system needs to be simplified. See Judicial Branch. Administrative Penalties will be banned. Constitutionally every person has the right to have their day in court therefore government cannot remove this right through implementation of administrative penalties. See Judicial Branch. “…, that policy or guideline is not prescribed by law. It is simply that; it is MNR guidelines for enforcing the Act and, as such, it cannot be relied upon as the law.” Ministry of Natural Resources v. Janssen, Reasons for Judgment – February 12, 2015. Schedule 2 – Local planning Appeal Support Centre Act, 2017, Bill 139 – Building Better Communities and Conserving Watersheds Act, 2017. “It is an evasion of the Act from which the Local Legislature derives its power. The Local Legislature cannot, no more than private individuals, act as it were in fraud of the law, that is, do by indirect means what it cannot effect directly…” Constitution of Canada. The B.N.A. Act, 1867; Its Interpretation, etc., p. 209. “It is a well settled proposition of law that jurisdiction cannot be conferred by consent. None of these bodies can be vested directly or indirectly with powers which have been denied them by the B.N.A. Act, and which there fore are not within their constitutional jurisdiction.” Case name: Attorney General of Nova Scotia v. Attorney General of Canada. Collection Supreme Court Judgments, Date: 1950-10-03, Report:  S.C.R. 31. The Trillium Party believes, as stated above, there needs to be procedural fairness in the Courts; there needs to be less Tribunals; there needs to be simplification of the process when attending court so that an individual has the ability to represent themselves; and that Administrative Penalties must be abolished. • All Tribunals must be banned, saving the Ontario Municipal Board because its original mandate was to ensure Municipalities did/do not become financially embarrassed; to take over financially impaired municipalities; and, at one point in Ontario’s history, was an entity that people could petition to create a village, hamlet or town. Therefore, all Tribunals, except the OMB must be abolished because this has become onerous on the people of Ontario. The Superior Court of Ontario is, an example, already legislated in section 2738 and 2749 of the Municipal Act, therefore there is no need for added Tribunals. 273. (1)Upon the application of any person, the Superior Court of Justice may quash a by-law of a municipality in whole or in part for illegality. 2001, c. 25, s. 273 (1). “by-law” includes an order or resolution. 2001, c. 25, s. 273 (2). (4) The court may direct that nothing shall be done under the by-law until the application is disposed of. 2001, c. 25, s. 273 (4). (5) An application to quash a by-law in whole or in part, subject to section 415, shall be made within one year after the passing of the by-law. 2001, c. 25, s. 273 (5). (c) inquire into the conduct of any part of the public business of the municipality, including business conducted by a commission appointed by the council or elected by the electors. 2001, c. 25, s. 274 (1). (2) In making the investigation or inquiry, the judge has the powers of a commission under Part II of the Public Inquiries Act, which Part applies to the investigation or inquiry as if it were an inquiry under that Act. 2001, c. 25, s. 274 (2). (3) The judge shall report the results of the investigation or inquiry to the council as soon as practicable. 2001, c. 25, s. 274 (3). (4) The council may hire counsel to represent the municipality and pay fees for witnesses who are summoned to give evidence at the investigation or inquiry. 2001, c. 25, s. 274 (4). (6) The judge may engage counsel and other persons to assist in the investigation or inquiry and the costs of engaging those persons and any incidental expenses shall be paid by the municipality. 2001, c. 25, s. 274 (6). Another reason Tribunals need to be abolished is because the majority of the Tribunals are partisan appointments by the sitting government, therefore there is an underlying question of biasness of the appointees which undermines justice. Tribunals, in the majority of legislation, are allowed to make their own rules. This is not for the Tribunal Board of Directors to determine – this is for the legislature to determine the rules of procedure in any court, therefore Tribunals are not accountable for their actions because they are granted authority to determine (i) how they operate, (ii) whether their rules are “just,” and (iii) can be prejudicial for or against any individual and/or discriminatory. 32 (1) The Tribunal may make rules governing its practices and procedures. (2) The rules may be of general or particular application. (f) provide for when and how the Tribunal may hear from a person other than a party. (4) Part III (Regulations) of the Legislation Act, 2006 does not apply to the rules. (5) Unless the Tribunal’s failure to comply with the rules or its exercise of discretion under the rules in a particular manner caused a substantial wrong that affected the final disposition of a matter, neither the failure nor the exercise of discretion is a ground for setting aside a decision of the Tribunal on an application for judicial review or an appeal. without fear or favour, affection or ill will. So help me God. …………..” The same must be re-established for all Justices, Judges, Officers of the Court, etc. 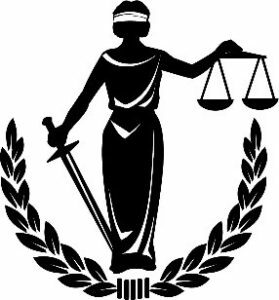 º (i) to ensure justice is served for the benefit of the defendant and the individual – not the state;º (ii) ensure that the Crown is not placed into disrepute by the actions of the Legislature, and that is accomplished by striking down “bad law”;º (iii) to assist an individual when self-representing and not to show bias of any form;º (iv) society has a right to expect those appointed as judges to be honourable and worthy of its trust and confidence;º (v) Judges should not be influenced by partisan interests, public pressure or fear of criticism. Judges should maintain their objectivity and shall not, by words or conduct, manifest favour, bias or prejudice towards any party or interest;º (vi) Judges have a duty to follow the law. Judges have a duty to apply the relevant law to the facts and circumstances of the cases before the court and render justice within the framework of the law;º (vii) Judges will endeavour to maintain order and decorum in court. Judges must strive to be patient, dignified and courteous in performing the duties of judicial office and shall carry out their role with integrity, appropriate firmness and honour;º (viii) The Judge and the Court should approach their judicial duties in a spirit of collegiality, cooperation and mutual assistance;º (ix) Judges should conduct court business with due diligence and dispose of all matters before them promptly and efficiently having regard, at all times, to the interests of justice and the rights of the parties before the court;º (x) Reasons for judgment should be delivered in a timely manner;º (xi) Judges have a duty to maintain their professional competence in the law. Judges should attend and participate in continuing legal and general education programs;º (xii) The primary responsibility of judges is the discharge of their judicial duties. Subject to applicable legislation, judges may participate in law related activities such as teaching, participating in educational conferences, writing and working on committees for the advancement of judicial interests and concerns, provided such activities do not interfere with the judges’ primary duty to the court;º (xiii) Judges should maintain their personal conduct at a level which will ensure the public’s trust and confidenceº (xiv) Judges must avoid any conflict of interest, or the appearance of any conflict of interest, in the performance of their judicial duties. Judges must not participate in any partisan political activity. Judges must not contribute financially to any political party;º (xv) Judges must not abuse the power of their judicial office or use it inappropriately;º (xvi) Judges are encouraged to be involved in community activities provided such involvement is not incompatible with their judicial office. Judges should not lend the prestige of their office to fund-raising activities. The law schools need to teach law and not just how to think like lawyers. There is a systemic problem in Ontario brought to the people’s attention by the Treasurer of the Law Society, Laura Legge, in 2004. She states: “I was concerned about the core courses in the law schools that were not being taught. And I’m still concerned about it. And my one concern, and it’s an ongoing concern, is the lack of teaching of equity and legal history…. And every time the Law Society seems to ask the law schools to start teaching some basic courses we get nowhere. I couldn’t get anywhere, and I tried very hard. And the one law school that has consistently taught, or have, I don’t know if they still do or not, twelve basic courses was the University of Western Ontario. And I think they’re still teaching, I know they’re still teaching, equity law. And, in my opinion, having been a lawyer for fifty-six years, if you don’t understand the law of equity, as well as the common law, how in the world can you be a lawyer in our legal system? And I think it’s a real problem, and I think it’s still a problem, and an ongoing problem. And I blame the Law Society for this one because we’ve allowed the law schools to teach a lot of courses that have really no relevance. And you don’t teach people to think like lawyers, you have to give them some tools with which to think! And I had one eminent law dean tell me that their only role was to teach people to think like lawyers. Now come off it! You have to give them some basic tools to start thinking. However, … So, that was one of my very real concerns as Treasurer: that was the education of lawyers. I must say I failed: I got nowhere, and nothing has happened since. “ The curriculum in the law schools must to changed to include historical, constitutional, criminal, law of equity and common law to ensure that all graduates are fully capable of representing their clients on all issues brought before the Courts. All judges, justices, etc., must be re-educated to ensure they fully understand the law as it would seem they have not been fully instructed by the law schools. MEDIA: 2 MINI-DISKS APPROX. 58:23 AND 13:42 MINUTES IN LENGTH AND ONE MINI-CASSETTE OF SAME.